The Canon ImageRunner 2800 facilitates capabilities to serve small or medium-sized businesses. The ImageRunner 2800 is a digital copier capable of copying, printing, scanning, and faxing. The Cannon ImageRunner 2800 is a veritable add-on for any hectic environments with its networked document control for management. The MFP costs around $2000-$5000. The digital multifunction device facilitates a monthly duty cycle of up to 100,000 pages. The server memory for images is 128 Mega Bytes, plus a 5.1 Giga Byte hard disk drive. The ImageRunner 2800 handles plenty of documents and contains enough memory to belong in a large enterprise. The maximum number of mailboxes supported is up to 100. The size of the digital copier is 40 inches in height, 22 inches in width, 26 inches in depth, with a weight of 176.3 pounds. The dimensions show that it is clearly beyond the proportion of fitting on a desk but can be situated in a hallway or room nicely. There is no shortage of voluntary add-ons that make the MFP an efficient printing system. The main unit allows for the Platen on the top and the feeder on above the Platen. A J1-Fisher can be installed on top-right and two cabinets can be employed below the main unit. The F1-Copy Tray can be facilitated on the top-left side of the main unit. The G1-Saddle Finisher can be placed on the left-side of the main unit. Inside the main unit, a 2-way A1 tray can be installed. The optional Puncher Unit facilitates punching holes into single or stacked documents. The Puncher has the ability to punch two holes for Legal and Letter-R documents, and three holes for Ledger and Letter documents. The optional Saddle Finisher permits multi-location stapling; saddle stitch, side margin, and top corner. 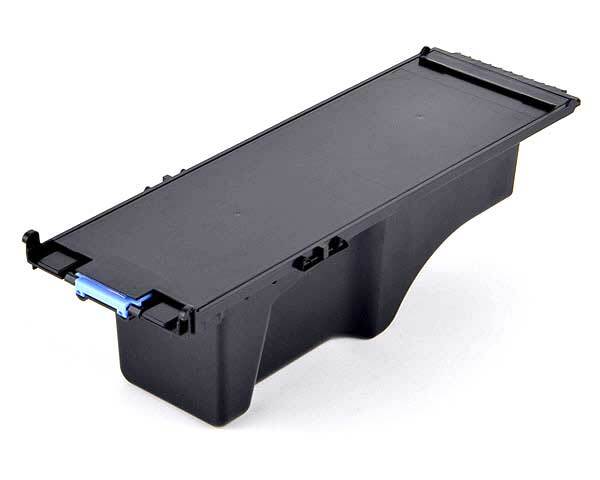 There are various accessories that offer a plethora of services, the most notable addition is the components that make the copier blind-friendly; the Braille Label Kit-E1. The print or scan resolution is 600 x 600 dots per inch. The copy feature has an interpolated resolution of 1200 x 600 dots per inch, and the copy feature facilitates an interpolated resolution of 2400 x 600 dots per inch. The halftone has 256 gradations of gray. The magnification of documents can be incremented in ones; the maximum magnification is 800% and the minimum is 25%. Duplexing features are always favored by business environments; the copier uses an automatic trayless duplex. The size of the multifunction copier can make 28 copies per minute of letter-sized documents, 14 copies per minute for Legal documents, 18 copies per minute for Letter-R documents, 16 copies per minute for Ledger-sized documents, and 18 copies per minute for statement documents. The first-copy time takes only five seconds from the Platen Glass, and six seconds from the DADF. The average warm-up time for the copier is 10 seconds. The copier can make multiple copies of up to 999 documents. The maximum capacity the main unit can hold is 4,550 sheets. The manual bypass holds up to 50 documents, and the standard capacity holds two-500 sheets. The maximum-sized document allowable is 11 x 17 inches. The acceptable originals for copying are books, sheets, and various three-dimensional items. The optional super G3 fax board transmits a page in three seconds at 33,600 bits per second; files can be compressed to MMR, JBIG, MH and MR. The auto dial has an address book capable of holding up to 200 destinations, and the image memory can hold approximately 3,700 pages. The embedded print network utilizes a shared 250 Mega Hertz memory. The connectivity allows for flexibility in networking in various topologies e.g. the optional Token Ring card. IEEE 1284 parallel port is available. There is an RJ-45 port capable of supporting 10/100Base-T cables for fast transfer speeds. Users have access to full finishing features, and Internet connectivity; NetSpot and Spooling are supported. The Canon ImageRunner 2800 is extraordinarily expensive. The standard memory and fax memory has no room for expansion. 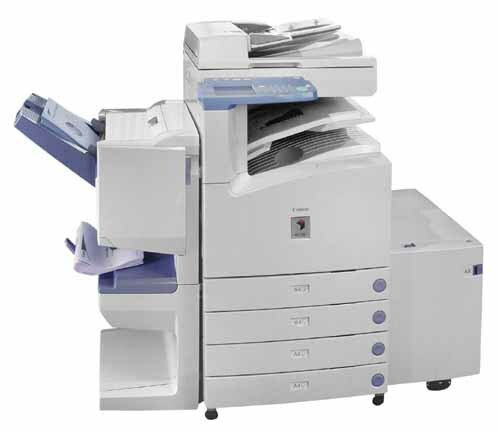 The MFP copier is relatively large and heavy and may be difficult to move; the copier is not suitable for the desktop. For such an expensive machine, it has an abundance of valued features but Canon should of included color capabilities for the ImageRunner 2800.
Review it: "Canon imageRUNNER 2800 "
The original GPR-6 toner yields 15,000 documents based on 6% coverage. The GPR-6 drum unit yields 55,000 pages or impressions. The black toner is used to insert the powder to create a xerographic image. The drum is used to transfer an image to a document. 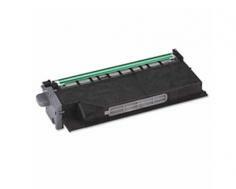 The toner will stick to the drum and then project an image to a sheet.